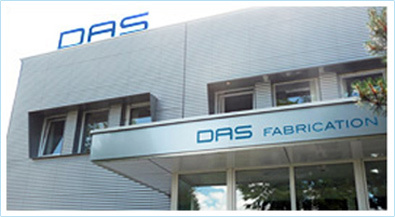 The Design Department provides engineering services for the product range offered by DAS Fabrication s.r.o. The office uses modern computer workstations for static calculations and 2D/3D designs. Our team of qualified staff manufactures the products in properly equipped production halls that meet any requirements as to the accuracy and quality of the products mentioned above. Assembly operation procedures satisfy the requirements for occupational safety in standard assembly of steel structures as well as the requirements for occupational safety in special industries – oil refineries, etc. The scope of business of DAS Fabrication s.r.o. lies in the production of steel structures, apparatuses and technology equipment for the glass and chemistry industries, power engineering and production of heat. The company realises its deliveries from the design stage through to installation with an experienced team and all the necessary technology and machines. The company operates a modern management method, has the required expertise certificates and guarantees the high quality of its deliveries. DAS Fabrication s.r.o. is a reliable and economically attractive partner for domestic as well as international clients. The company has been present in the market since 1993. The company realises its deliveries from the design stage through to installation with an experienced team and all the necessary technology and machines. The company operates a modern management method, has the required expertise certificates and guarantees the high quality of its deliveries.